Representatives for Intel Corp. confirmed to theWall Street Journalthis week that it’s stopped shipping microprocessor chips to Chinese customers after the US Department of Commerce announced recently with little fanfare that its begun restricting exports to certain entities there over national security concerns. According to the Commerce Dept., the chips are powering high-speed supercomputers being used to conduct nuclear research on behalf of the Chinese government. 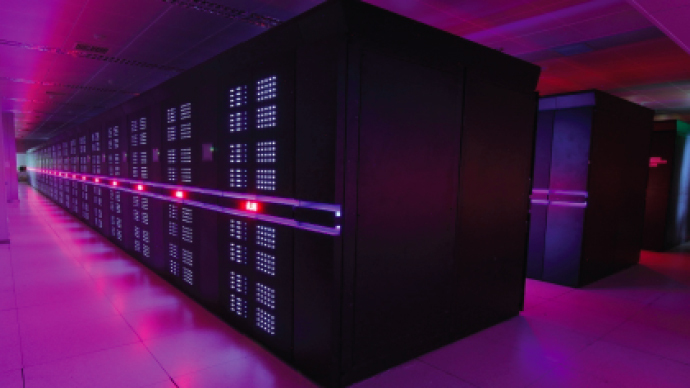 Specifically, the notice says that “NUDT has used US-origin multicores, boards and processors to produce the TianHe-A and TianHe-2 supercomputers located at the National Supercomputer Centers in Changsha, Guangzhou and Tianjin.” The Tihane-2 was named in 2014 as the world's top supercomputer for the fourth consecutive year by TOP500 project, a group that has been rating high-speed machines since the early 90s. Indeed, Intel spokesman Chuck Mulloy told reporters this week that his company was notified by the Commerce Dept. 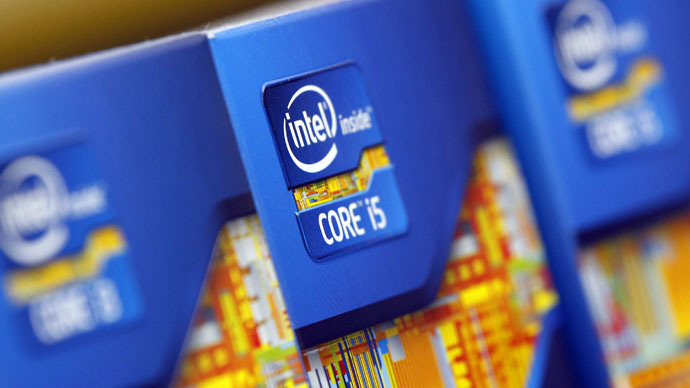 last August and told that it would soon need an export license to continue shipping powerful Xeon processors to China. “Intel complied with the notification and applied for the license, which was denied,” Mulloy said in a statement this week. “We are in compliance with the US law." Now without the addition of Intel-made components, the maintainers of the world’s fastest supercomputer will have to look elsewhere to hold onto its ranking. The Top500 project says the Tianhe-2 “has 16,000 nodes, each with two Intel Xeon IvyBridge processors and three Xeon Phi processors for a combined total of 3,120,000 computing cores.” The BBC reported that the machine uses that power to crunch numbers at a speed of 33 petaflops – or roughly 33 quadrillion calculations per second. But according to some experts, blocking shipments of US chips to China may only further enable foreign companies to ramp up their own research efforts. “The Chinese will be more incentivized to develop their own technology, and US manufacturers will be seen as less reliable and potentially not able to satisfy foreign orders,” Horst Simon, deputy director of the US Department of Energy’s Lawrence Berkeley National Laboratory, told the Journal. "China has been pushing the development of its own chip industry, and this is likely to accelerate their effort," Simon told the China Daily. "With the exception of the Intel chips, the rest of the Tianhe-2's technology was developed domestically." The Commerce Dept. declined to comment for the Journal’s report Thursday, and PC World said that an employee of the National Supercomputing Center of Guangzhou said they were “not very clear” on the situation. China had planned to upgrade its machine later in 2015, the BBC reported, to give it a speed of 110 petaflops. Meanwhile, Intel has signed a $200 million deal with the US government to build the Aurora supercomputer at the Argonne National Laboratory in Illinois. 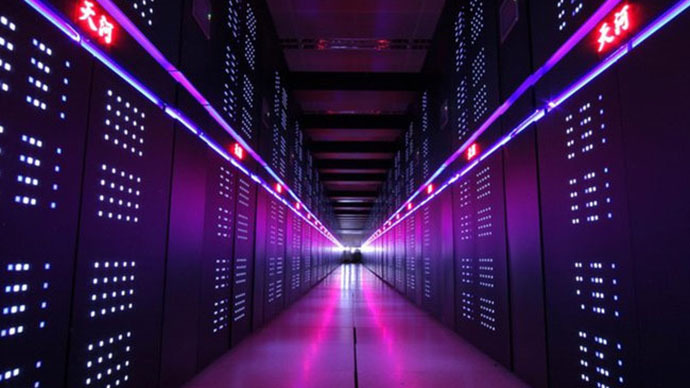 Once completed, that machine will have a peak performance speed of 180 petaflops, according to the BBC – or around six times faster than the Tianhe-2’s current speed. When the Top500 project released its last annual supercomputer rankings in November 2014, the US-developed Titan placed second, followed by IBM's Sequoia.